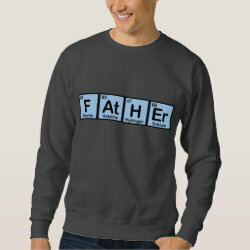 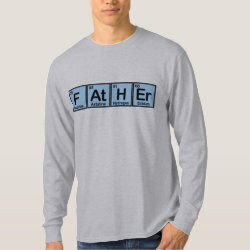 This fun chemistry-inspired text design reads FATHER using elements of the periodic table. The elements are in blue square boxes complete with atomic number, symbol, More... and full name. 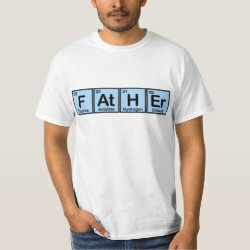 What a perfect gift idea for your dad, especially if he has a scientific mind! 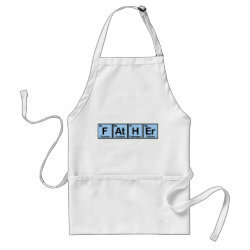 Give this gift on Father's Day, your dad's birthday, or any time you want to show your father some love! 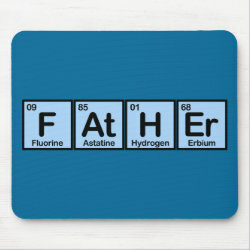 Father Made of Elements Kitchen Towel 16" x 24"
Father Made of Elements Placemat 20" x 14"